In 1990, Girish founded TekEdge Corporation, a software services company focused on delivering solutions for technology firms in Silicon Valley. Over the years, TekEdge grew in size and expanded its service portfolio to incorporate additional services, industries and geographies. In 2000, the company changed its name to Xoriant as it expanded into outsourcing, and has continued to grow rapidly since. Today, Xoriant is spread across the U.S., UK, India and Singapore and is the partner of choice for mid- to large-sized technology companies and Fortune 100 enterprises. Prior to founding TekEdge, Girish held marketing, financial and engineering management positions at Arix Corporation, AT&T Corporation and Intel Corporation. Girish has served the tech community as a seed investor and board member for more than a dozen technology startups in fields encompassing applications software, telecommunication chips, Internet security and social networking. He is an advisory member for The Chicago Booth School of Business and the Indian Institute of Technology and also serves on the boards of non-profits such as South Asian Heart Association and the India Community Center. 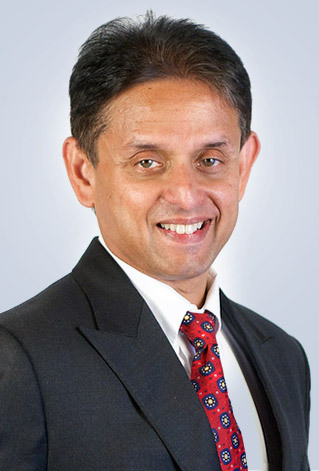 Girish holds an MBA in finance and marketing from the University of Chicago, a master’s degree in computer engineering from Pennsylvania State University and a bachelor’s degree in electrical engineering from the Indian Institute of Technology Bombay, where he is a Distinguished Alumnus. He is a two-time winner of the Entrepreneur of the Year Award from the Silicon Valley chapter of the U.S. Chamber of Commerce, among other awards recognizing his entrepreneurship. He lives in Saratoga, California with his wife and two sons.